Through the past 90 years, Kiwanis has witnessed many miracles that have saved lives at this Indianapolis children’s hospital. The Currys’ is one such story. The inception of the 12:34 dance party says a lot about the Curry family’s positivity and perseverance. In their darkest days, they always found the silver lining. They spent time together. They laughed together. They prayed together. And when the clock struck 12:34, they danced together. Through it all, they were never alone. Nurses and doctors danced with them. People around the world prayed with and for them and followed along for updates on social media. And that spiritual backing and love could be felt all the way into Katie Grace Curry’s room at Riley Hospital for Children at Indiana University Health in Indianapolis, Indiana. She was blessed beyond measure. But she was also sick. Very, very sick. It all started around May 2013. Katie’s third-grade year was coming to a close. Like other children her age, she should’ve been excited and making plans for summer break. Instead, she wasn’t feeling so great. She had started to feel a lump in her throat. Soon, that “lump” was making her gag, oftentimes causing her to vomit. Katie and her mom, Jen, spent hours at Riley, going through a battery of tests while Danny, who is a minister, was at a church conference in Nebraska. Jen updated him regularly throughout the process. And then, the doctors had answers. It turns out that lump Katie was feeling in her throat was actually her heart. One of Katie’s kidneys had never fully developed and the other was giving out. And since kidneys help regulate blood pressure, Katie’s heart had become enlarged from working so hard. And she could feel it. Katie initially spent two weeks at Riley to get her blood pressure back to a safe and normal range. But this was just the beginning of her journey. In September 2013, Katie would have her under-developed kidney removed and by June 2014, Katie was becoming so ill from the toxins in her body that the search for a kidney donor began in earnest. Her mother was tested first, but it was determined she was not a good match. Dad was next. At this point, Danny’s voice trails off. Tears well up in his eyes. Katie, who is sitting next to him, giggles as she looks at her dad. He looks at her and smiles through his tears. All along the way, a team known as Child Life specialists talked with Katie to explain to her exactly what was happening. They used medical play to show her what it was like to have a kidney removed and a new one put in. They had fun in the Child Life Zone, a new area within Riley that houses games, a working TV studio and even a display ambulance that opens in the back for exploration and explanation. The entire zone is bright, colorful and, most of all, fun. And there’s a different Child Life specialist for each step of the journey—so Katie made many new friends. The experience wouldn’t have gone as smoothly as it did without the Child Life specialists, Danny says. Maggie Kirles is the Child Life specialist who worked with Katie to prep her for her nephrectomy, the surgery she had to remove the bad kidney. She’s also the one who did the “surgery” on the doll with Katie. And here to make sure Child Life specialists have the support they need is the Indiana District of Kiwanis. In 2013, the district continued its ongoing support of Riley with a US$450,000 pledge to support the Child Life program. Without this pledge, the program would have suffered loss of staff and resources. Kiwanian Denny Yoder is chairman of the Riley K.I.D.S. committee. Danny and Katie went in for their surgeries on December 15, 2014. Danny went in first, at Indiana University Hospital. Once his kidney was removed, it was rushed through several walkways to Katie, who was waiting in a Riley operating room next door. The procedure was a success. When Katie went in to have her operation, her kidney filtration rate had dropped to a life-threatening nine. (A healthy filtration number—which tells how much blood is circulating through the kidney—is above 100.) On December 26, Danny posted to Twitter that Katie’s level had hit 109. And they were going home. The Riley Child Life Program at IU Health seeks to minimize the stress and anxiety children often experience by using therapeutic and art activities that address patient and families’ societal, emotional and educational needs during hospitalization. 1919 Indiana District Kiwanians begin fundraising for the hospital. 1924 Riley Hospital for Children opens its doors. 1,200 children were treated in the first year. 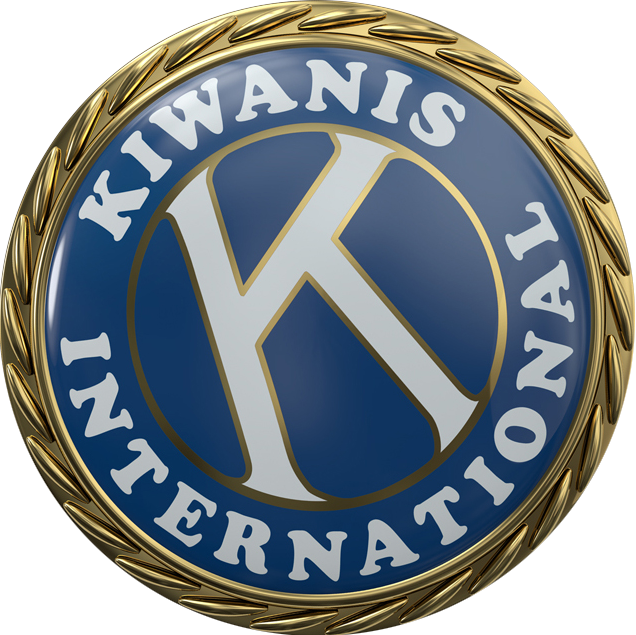 1926 Indiana District Kiwanis raises US$150,000 for the Kiwanis K-Wing to be built. The original cornerstone can still be seen in the Kiwanis courtyard. 1958 Kiwanis Diagnostic & Outpatient Center opens. 1991 Indiana Kiwanis clubs make US$1 million pledge. 2004 Kiwanis’ first MICU (Mobile Intensive Care Unit) released to fleet of ambulances. 2009 Kiwanis pledges US$1 million for “Path to a Cure” for diabetes research. 2013 Kiwanis pledges US$450,000 to support Child Life program. This story originally appeared in the June/July 2015 issue of Kiwanis magazine.